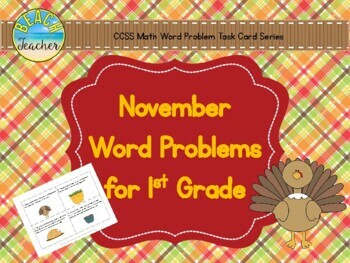 This product includes a set of 32 November/Thanksgiving themed word problems for 1st graders. 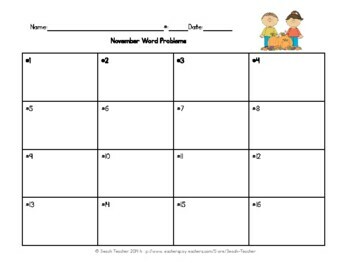 It also includes a printable for students to write their answers on, as well as an answer key. I use these as a math center, but you could use them in many other ways as well. 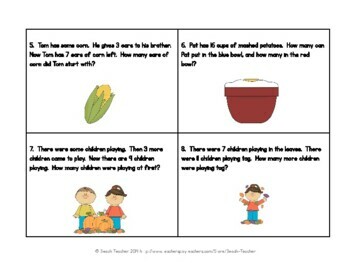 You could hide them around the room and have your students see how many they can find and answer correctly individually or in pairs. 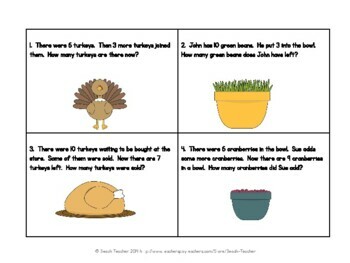 I modeled them after what is in my 1st grade CCSS Edition math book, so they do include more reading than some other math problems.